The capital of the state of Sabah located on the island of Borneo, this Malaysian city is a growing resort destination due to its proximity to tropical islands, lush rainforests and Mount Kinabalu. Generally referred to as KK, it is located on the west coast of Sabah within the West Coast Division. 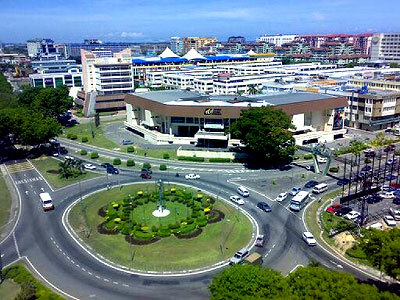 KK is the largest city in the state in Sabah and is the main gateway into the island of Borneo. KK lies by the coast overlooking South China Sea on a narrow flatland and occasional hills bordered by Crocker Range which hosts Mount Kinabalu. The urban sprawl is concentrated along the coast towards the north and south of the city. Kota Kinabalu is a fast growing tourism destination.